1.) In a Large bowl beat your eggs and sugar with a wire whisk. In a separate bowl mix your honey and baking soda. Add your honey mixture to your eggs mixture and mix well. Continuing add your butter and mix again. 2.) After add your sifted flour and mix until you have a dough. Split your dough into 2 different bowls equally. In one bowl add cocoa powder and add flour to the other one. 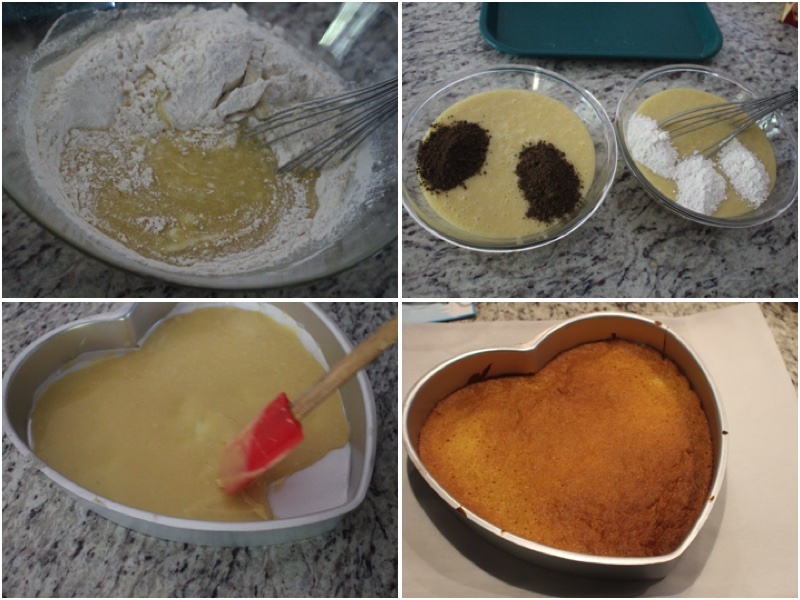 Place parchment paper onto the inside of your cake form and add 3 Tbsp of your dough and spread it out with a spatula. Bake for 5 minutes on 400ºF. 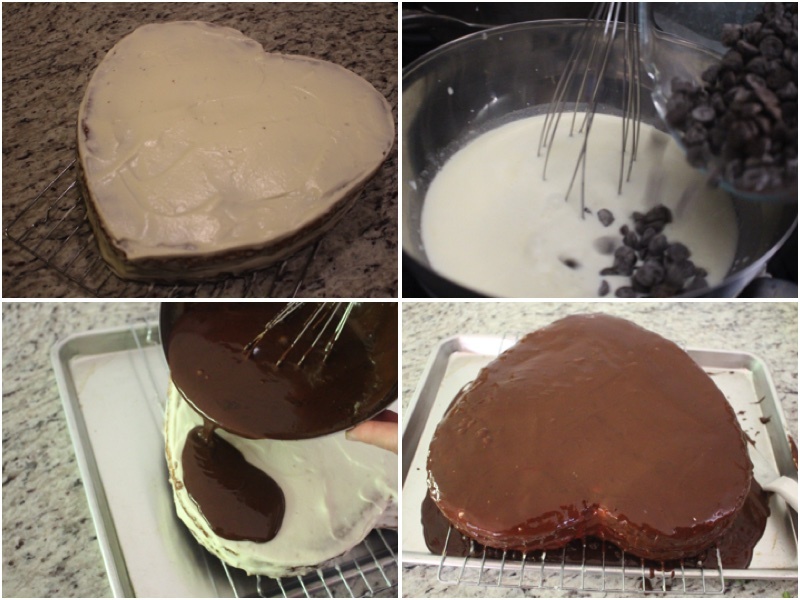 Repeat this process to create 3 chocolate layers and 3 regular layers. 3.) Beat your heavy cream until you have cool whip and then add condensed milk. While beating squeeze some juice out of an orange into the bowl. 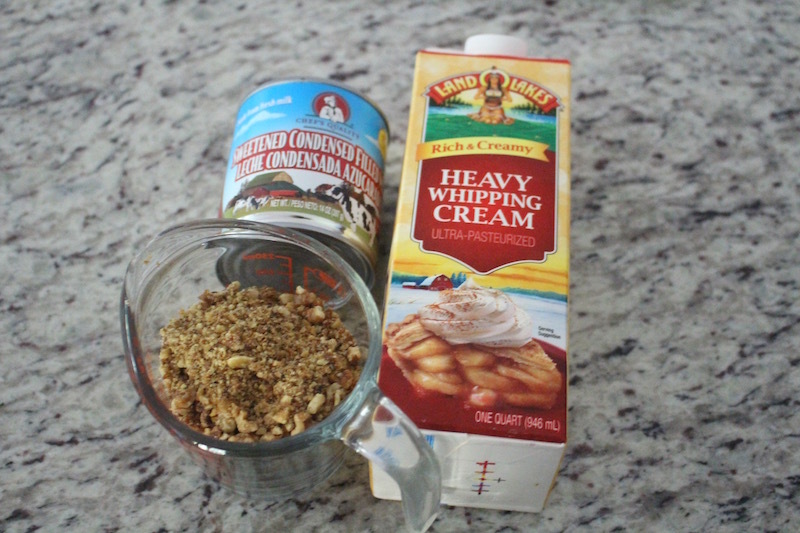 Using a spatula add cream to each cake layer and crushed walnuts. 4.) Build up all your cake layers to make one cake. 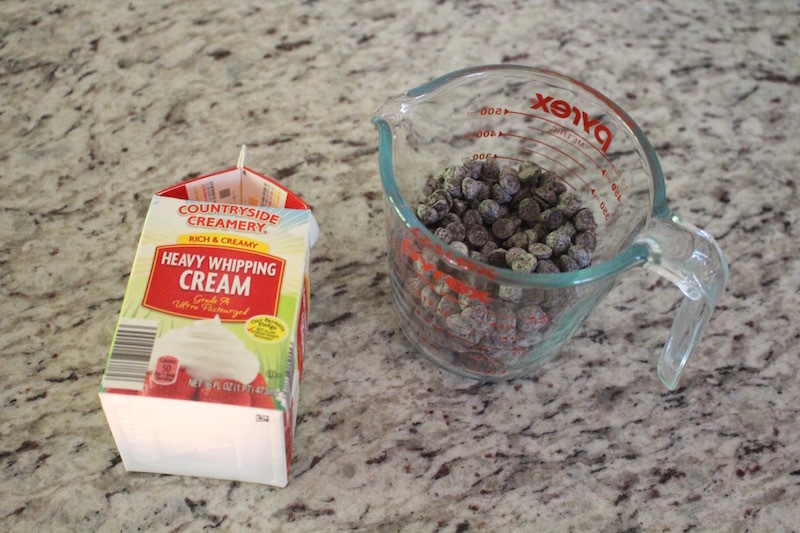 Using a double boiler over a stove melt your chocolate chips and heavy cream. Mix slowly until all of the chocolate chips melt. 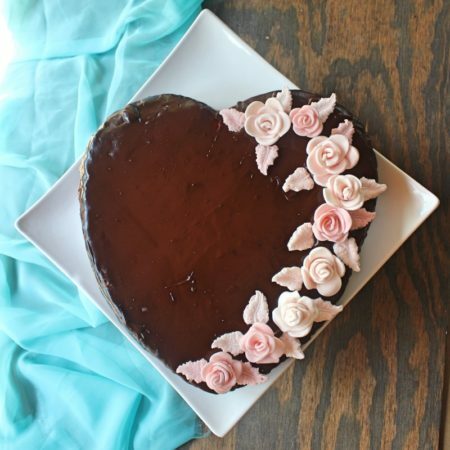 Let it cool down a little and then pour it onto your cake and use a spatula to spread it around evenly. Let it cake cool down in a cold area, cut and enjoy. In a Large bowl beat your eggs and sugar with a wire whisk. In a separate bowl mix your honey and baking soda. 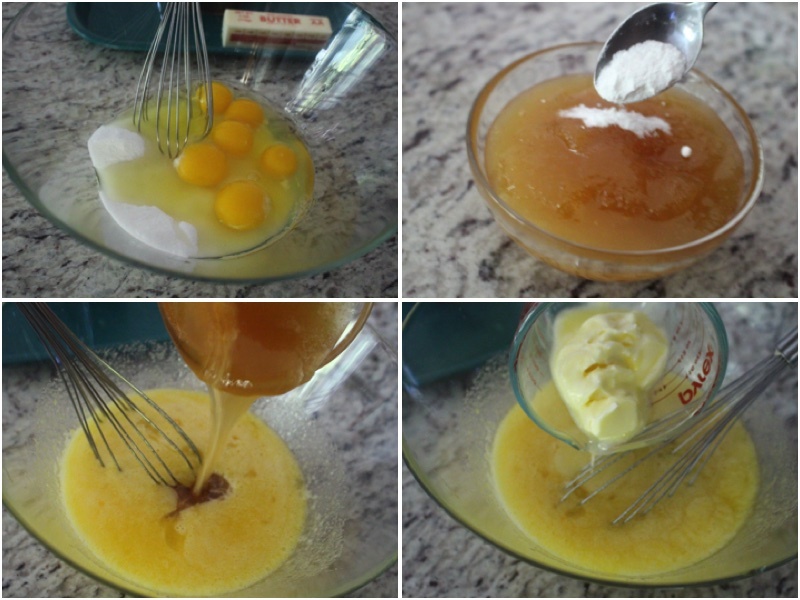 Add your honey mixture to your eggs mixture and mix well. Continuing add your butter and mix again. After add your sifted flour and mix until you have a dough. Split your dough into 2 different bowls equally. In one bowl add cocoa powder and add flour to the other one. 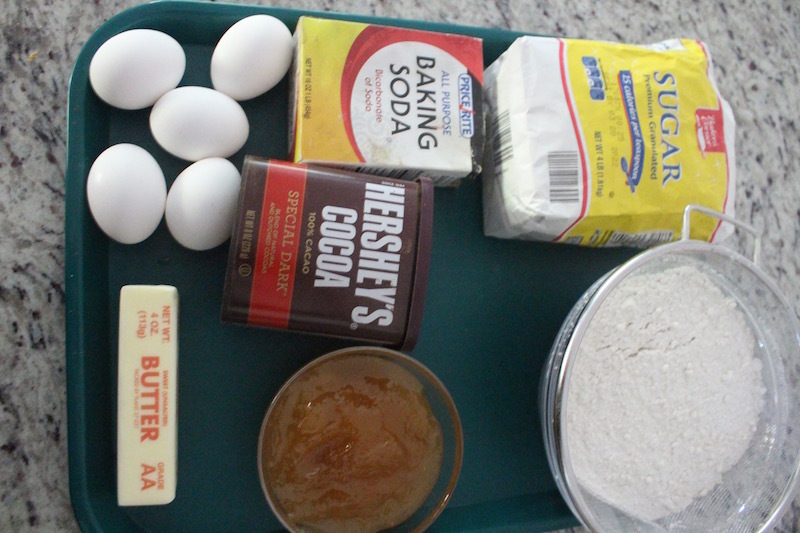 Place parchment paper onto the inside of your cake form and add 3 Tbsp of your dough and spread it out with a spatula. Bake for 5 minutes on 400ºF. 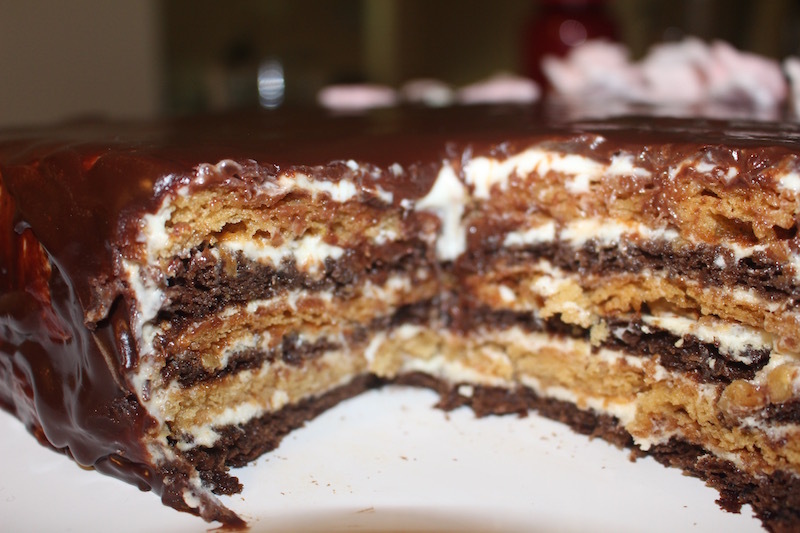 Repeat this process to create 3 chocolate layers and 3 regular layers. Beat your heavy cream until you have cool whip and then add condensed milk. While beating squeeze some juice out of an orange into the bowl. 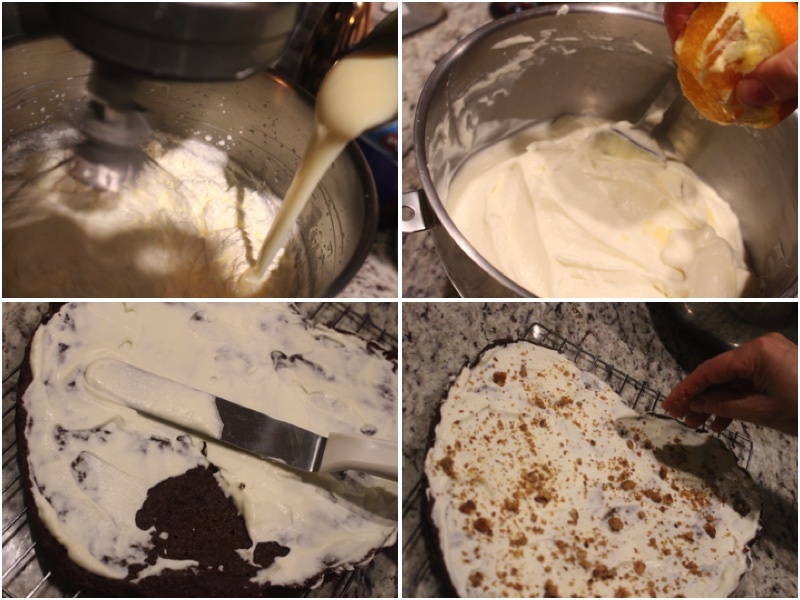 Using a spatula add cream to each cake layer and crushed walnuts. Build up all your cake layers to make one cake. Using a double boiler over a stove melt your chocolate chips and heavy cream. Mix slowly until all of the chocolate chips melt. 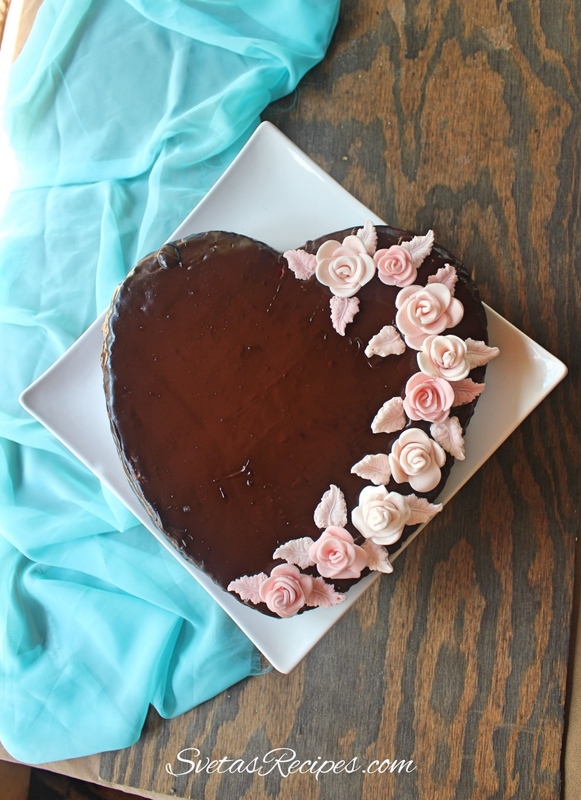 Let it cool down a little and then pour it onto your cake and use a spatula to spread it around evenly. Let it cake cool down in a cold area, cut and enjoy. Выглядит очень вкусно и такой пропитаный, спасибо за рецепт.